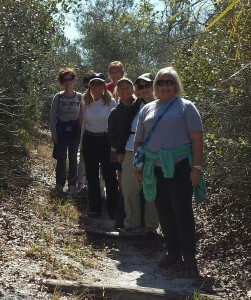 We had a beautiful day for a hike at Little Manatee River State Park. Although planned a couple of weeks ahead of time, the weather could not have turned out better as we had a cold front come through. It was a 6.5 mile hike, part of it along the river. We saved the beautiful river view for last. With the nice weather, we met a few hikers along the way, of all ages and some families brought their dogs along for a hike. We saw some people trying to paddle canoes and kayaks in the river. The water was a bit low in places so it looked a little challenging for them. 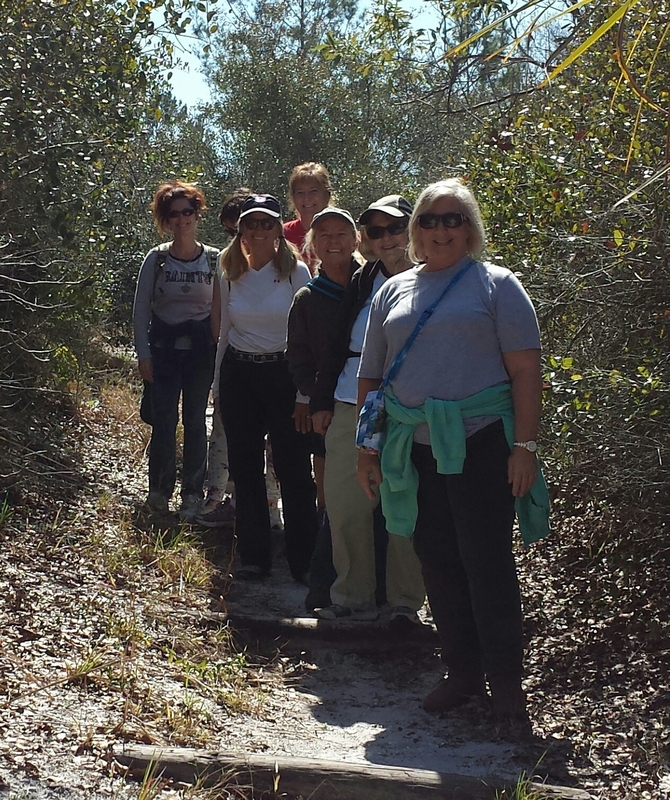 It was perfect weather for a hike at Sawgrass Lake Park, a great opportunity to get out and stretch our legs before the Superbowl later that day. We walked every trail at the park and climbed the observation tower. We saw one baby alligator but never did see the mother. We saw a variety of birds, especially on the lake. Unfortunately, we saw a bit of trash floating too. We enjoyed the opportunity to be outside and are looking forward to our next hike of the year, before the unusually warm weather gets too warm! 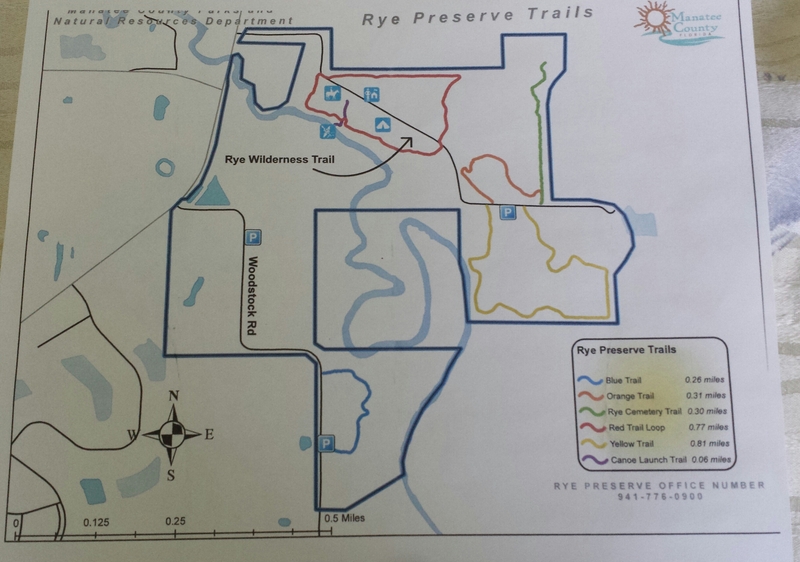 Here is the trip report by Gail and some pictures from the hike at Rye Preserve. 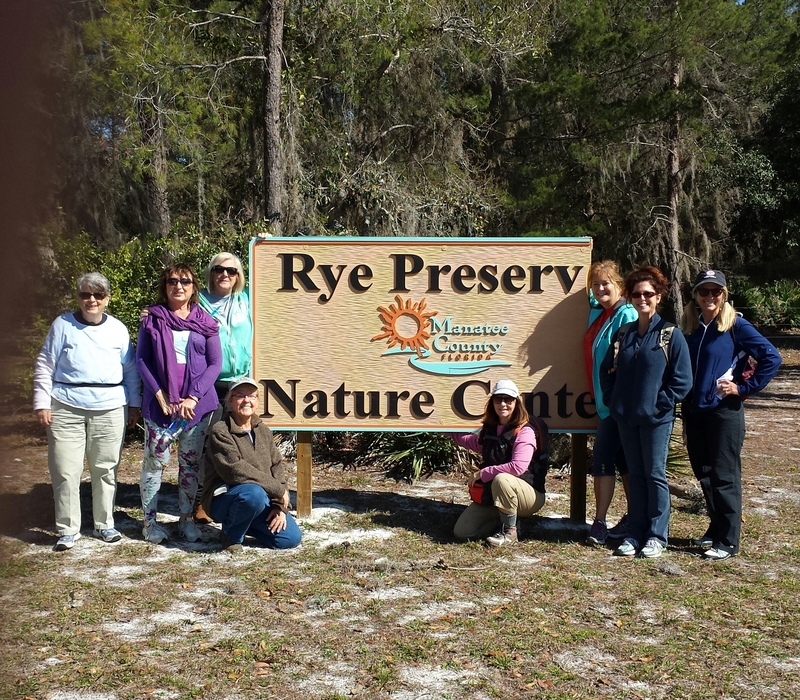 On Saturday, several adventurous ladies, including Christy, Kathy, Inta, Aleis, Karen, Sharon, Nina and Gail, completed a 3.6 mile hike in the woods of the Rye Preserve. Not much wildlife but we did have a black vulture following us overhead. Probably waiting for one of us to fall behind! At the end of the hike we visited the Rye family cemetery with markers during the 1800’s. Following tradition, we ate lunch at a local eatery, Woody’s River Roo Pub & Grill, located on the Manatee River, RT 301. Nice place to eat, right on the water! A great hike, with a great group of adventurous ladies! Hiking at Rye Preserve Nature Center. 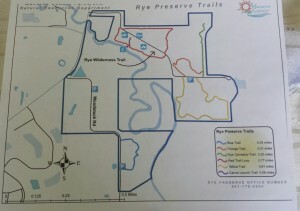 Hiking trails map for Rye Preserve Nature Center. Note: Due to illness, this hike will be rescheduled. Ready to work off some of that Thanksgiving meal? 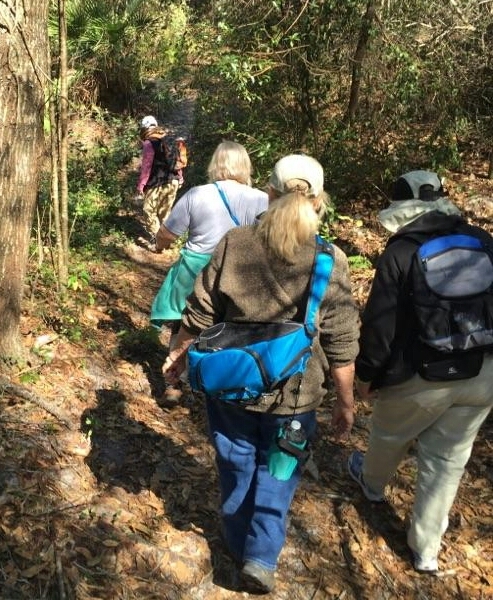 We will be hiking this trail on Saturday, December 5th. It will be about a two hour drive or so. We plan to start the hike at about 10:30. Bring a hat, sunscreen, comfortable walking shoes, water and a snack. We may go to lunch after the hike. Interested in joining us? Drop Carolyn a note.